The significance of enterprise fiber optic line Internet: With the global economic development trend of multi-level, enterprise information network and wide-area enterprise has become an important way to obtain fast business processing capacity. Today, high-speed, reliable Internet access has become an important opportunity for enterprises to respond quickly to market changes, to carrier-class optical fiber access to the Internet is to become the best choice for all enterprises online. 3) In addition to high-speed access to the Internet, but also to achieve a variety of network functions. Such as: Web site publishing; the establishment of their own E-mail e-mail system, FTP file download service, DNS domain name resolution, IP phones, VPN, video conferencing and e-commerce. 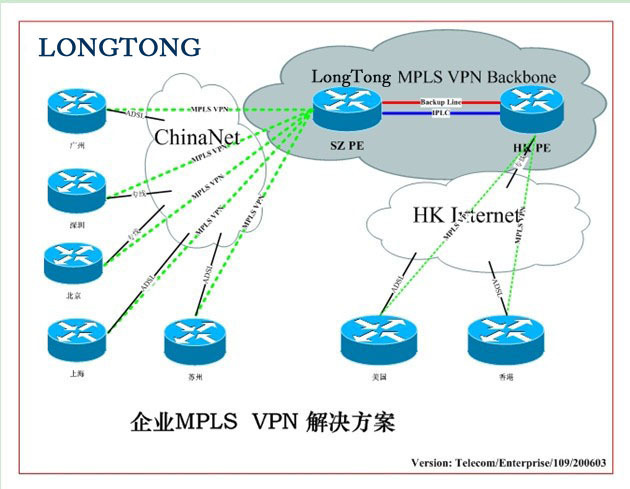 1) Longtong communications data center room and China Telecom, China Unicom, China Mobile, radio and television networks, Guangdong Yeston, China Railcom, China Telecom and other telecommunications infrastructure operators have achieved the interconnection of resources, the basic realization of full coverage of resources. 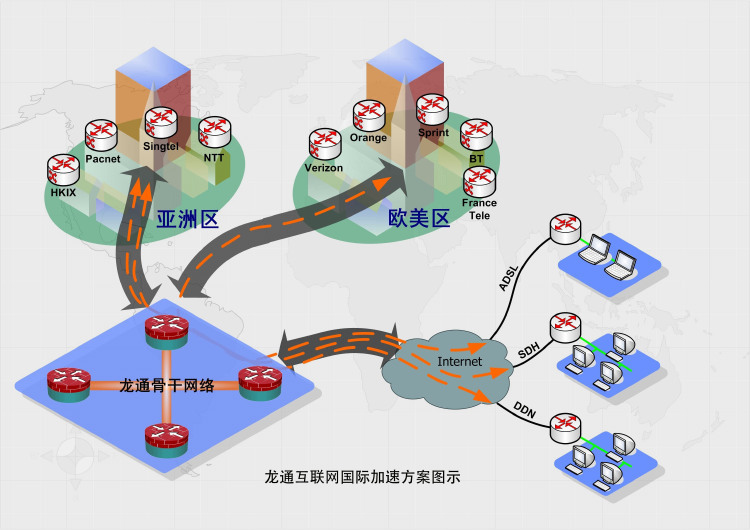 2) Longtong communication at the same time access to China Telecom Internet backbone exports and China Unicom Internet backbone exports, and through its own technology to effectively solve the China Telecom and China Unicom's interoperability issues. 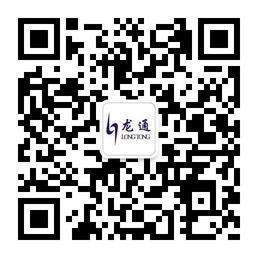 3) Longtong communication for enterprise users to provide digital circuits, IP metropolitan area network and other fast and stable access service program, business users only need to pay the corresponding costs, according to their own needs to choose the most appropriate network bandwidth, in addition to a dedicated line Of the private, but also enjoy the exclusive bandwidth guarantee and bandwidth expansion and other advantages.